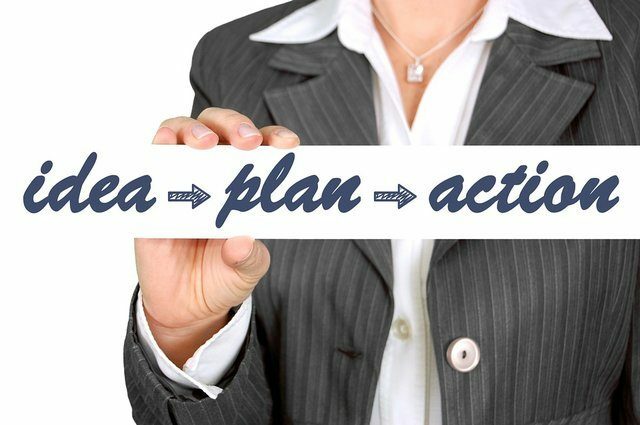 A business plan is a written guide for a business. It defines what you should do, when, and how. For example, if you write something down describing your aspiration to start a business on the backside of your water bill, it becomes a plan. Most people believe writing a business plan entails the development of a long, overly formal document. Such a perception is not entirely accurate. While a venture can benefit from following a precise, well thought out business plan, only a small fraction require the development of an official business plan needed for seeking support or funding. For many people, this is great news; you start simple, and then grow at your own pace. This post discusses how to write a business plan for a dog walking business in an easy to follow systematic procedure. A well thought through business name gives your business idea the credibility it deserves. Reason being, it portrays the company image or rather the perspective of a business in a positive light. However, after a certain period, it increases the worth of your business. For example, the name McDonalds is a lot more valuable than all the combined assets in the business – because it is well established. It is prudent to come up with a name that inspires confidence in your clients. Calling your venture “The Dog Takeout,” for example, would not work very well for you. Essentially, a mission statement defines a venture precisely, in very few words. It should be compelling, concise, and impressionable as possible. When developing your statement, it is prudent to avoid overly general and vague phrases that may apply to many other ventures. For instance, coming up with a statement such as “offering pets a fresh experience,” would not give an all-encompassing description of the nature of services you intend to offer. Ideally, the statement should cover the company’s employees (if you have some), owner(s), and clients. Being precise, particular, and unique is the right way to go about it. Research reveals that 82% of consumers consider a company’s relationship with society before purchasing its services or products. Engaging in community activities has a myriad of benefits: enthusiastic employees, self-satisfaction, devoted clients, and recognition in the community. You do not have to make huge financial investments or allocate a lot of your time to make your efforts impactful. Simple gestures such as contributing a portion of your profits to a local school to help it reach its targeted budget; helping an orphanage remain functional by offering to pay their electricity bill; or allocating time to engage in communal activities such as organising egg hunts during seasonal occasions such as Easter paint your business positively. In essence, this means attaching a price that reflects the benefits your clients get from purchasing or utilising your goods or services. The difference between companies that follow the value-based pricing policy and those that follow the cost-based pricing policy (pricing goods or basing on the venture’s input or costs of production) is that, the former is more interested in making its goods or services unique and as beneficial as possible while the later in only interested in making a profit. Ventures which utilise value-based pricing usually dominate those that use cost-based pricing. You can find a way to provide your dog walking services in a more efficient and unique way; it will undoubtedly boost your ratings among dog lovers. For example, you can attach a service such as training a dog to sit, or usher in guests into the owner’s home to the dog walking service. This will give you an edge over your competition. You can come up with a referral system. Consider devising a plan where you offer your clients services at lower rates for a specified period, say one month, for every successful referral. As the business expands, tasks across the workforce will start becoming less defined: everyone will seemingly start doing his colleague’s job. To avoid confusion, it is prudent to assign everyone specific duties. For example, at the outset, you will most likely double up as the accountant, service person (walking the dogs), and salesperson – promoting your service. As you expand, you will find it increasingly difficult to do everything yourself, so you will have to hire an assistant. With time, you will require other “assistants.” At this point, developing proper work mechanism would make sense: clearly defining who does what, when, and how. Delegating duties will help you get more time to focus on the “bigger picture”: thinking about how you can better your service or expand your venture. To expand your business, you need to find fresh ways of diversifying your service. For example, since you decided to start a dog walking business, and it has succeeded, you can create a new service, say, a dog grooming service. Developing new services not only helps your business expand, but also helps it remain relevant. You can consider opening a branch in a nearby town or a different but strategic location. By understanding your consumer market, you may have an idea of the best, strategic area to locate your venture. For example, you can consider opening a new branch near a suburb or residential area. The majority of people live in these areas; therefore, the likelihood of getting more clients is a definite possibility. To be successful in business, entrepreneurs require vision. The ability to focus on where you are going will help you overcome the challenges you face along the way. Writing a business plan prepares you for the rough journey ahead by reminding you where you are, where you are going, and possibly how long you have to keep walking to get there.